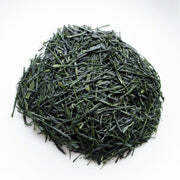 Light Steamed Sencha (AsamushiCha) from the Asanoka cultivar will appeal to connoisseurs of Japanese green tea. The wonderful odor from a first opened package excites the senses. The brilliant emerald green colored leaves are rolled into thin elongated shapes resembling pine needles such that they can easily be mistaken for a high quality Gyokuro. 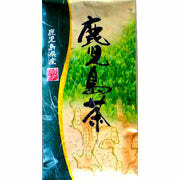 In fact, our supplier is a skilled artisan of Gyokuro processing and has finished this tea in the same manner. The complex taste and nature of the clear liquid from the first steeping provokes thoughtful appreciation. When warm a subtle astringency appears with no sweetness, which increases to medium as the liquid cools. The tea has a mellow full bodied texture that can best be described by the difficult to translate Japanese word. 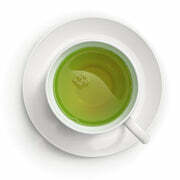 Experienced green tea drinkers know what the flavor is when they encounter it, and this tea has it in abundance. Incredibly, the astringency disappears from the second steeping and the result is a pleasantly mild tasting brew with a slight hint of sweetness and earthiness.